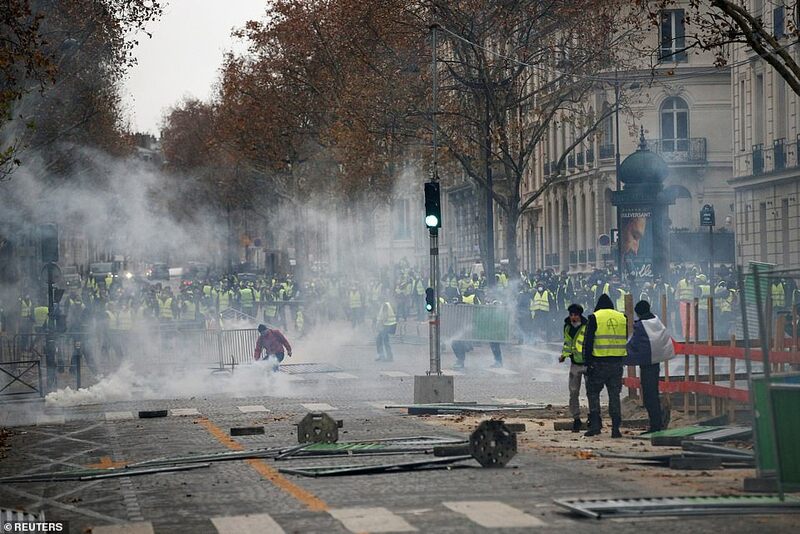 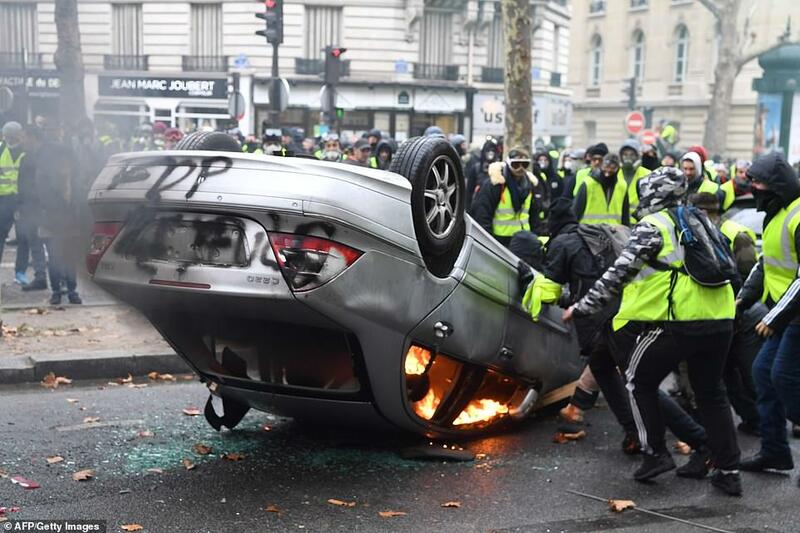 Violence has exploded again in Paris today as riot police clashed with masked protesters on the Champs-Elysees amid furious demonstrations against the cost of living in France. 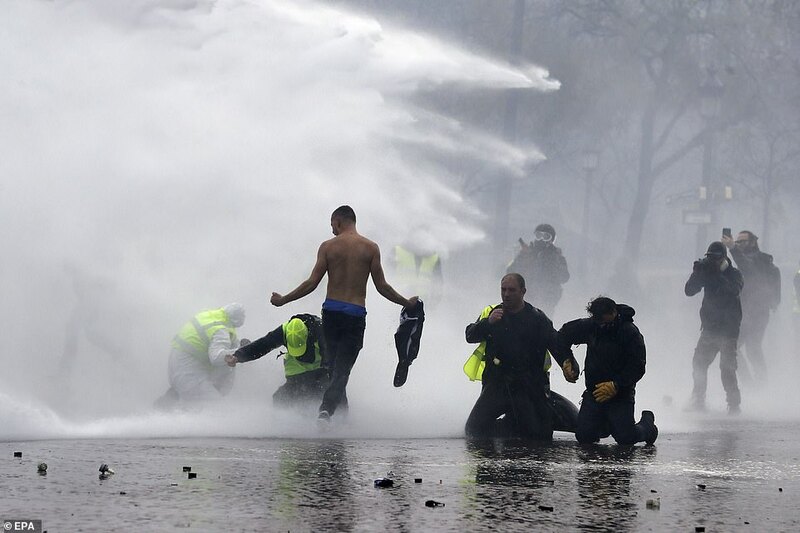 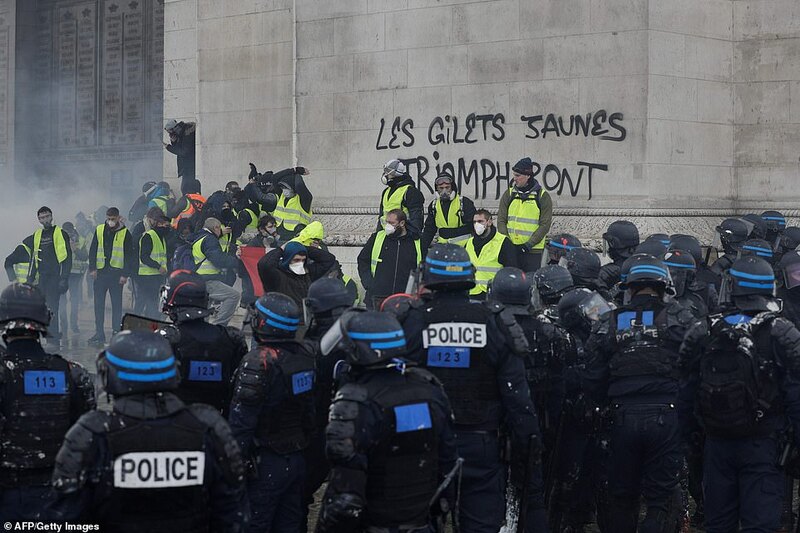 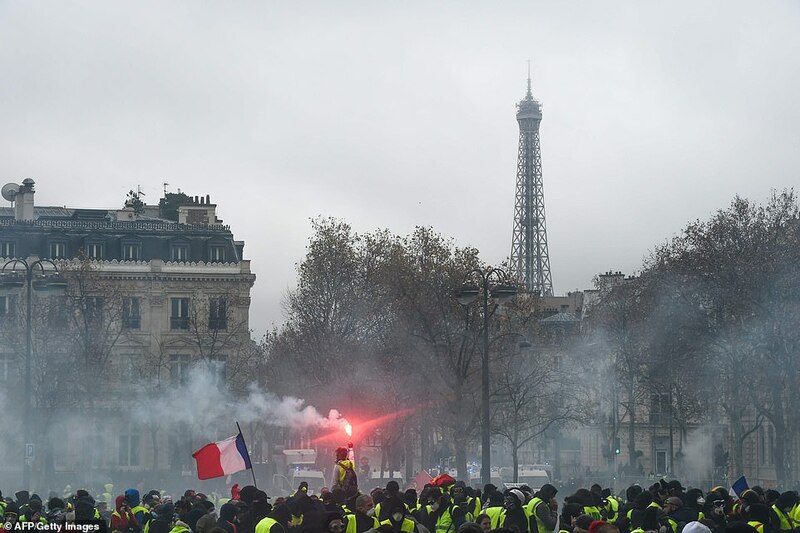 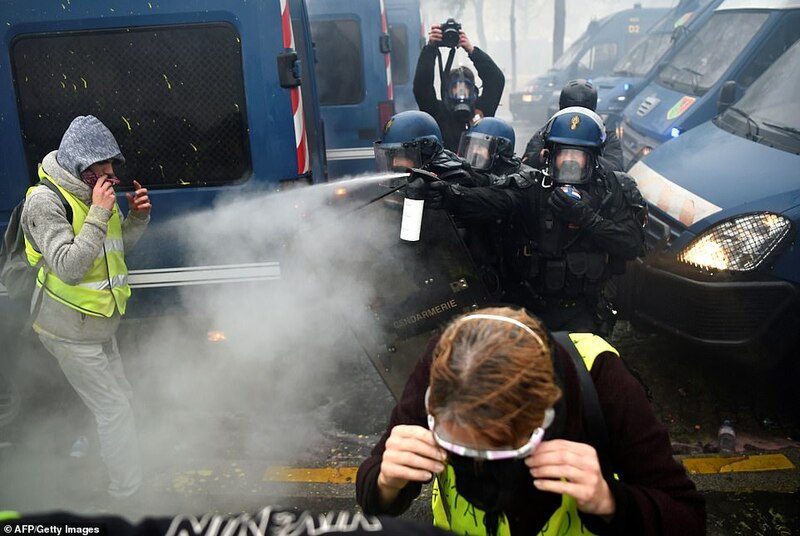 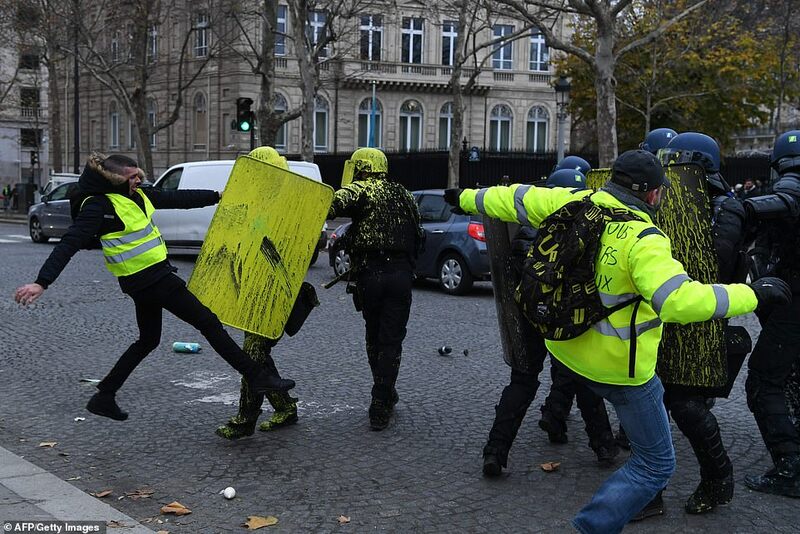 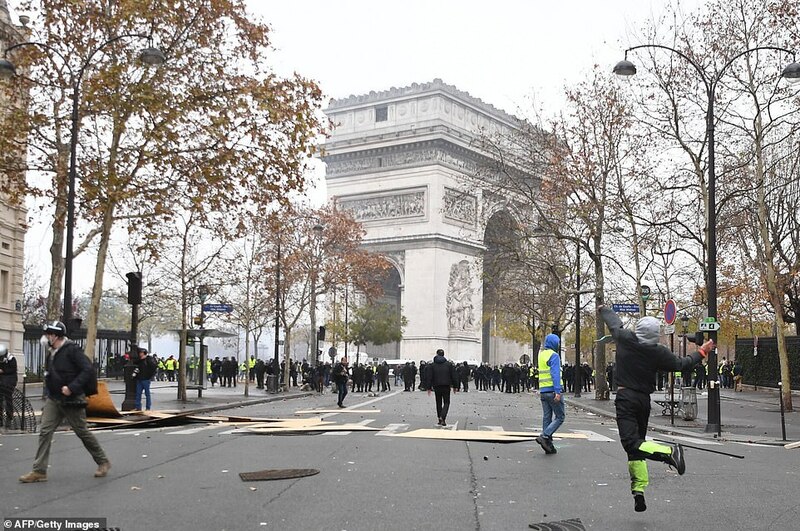 Paris riot police sprayed tear gas, fired water cannon and stun grenades and pulled out their batons to fight back protesters gathering around the Arc de Triomphe as the 'Yellow Vest' supporters blocked the avenue today. 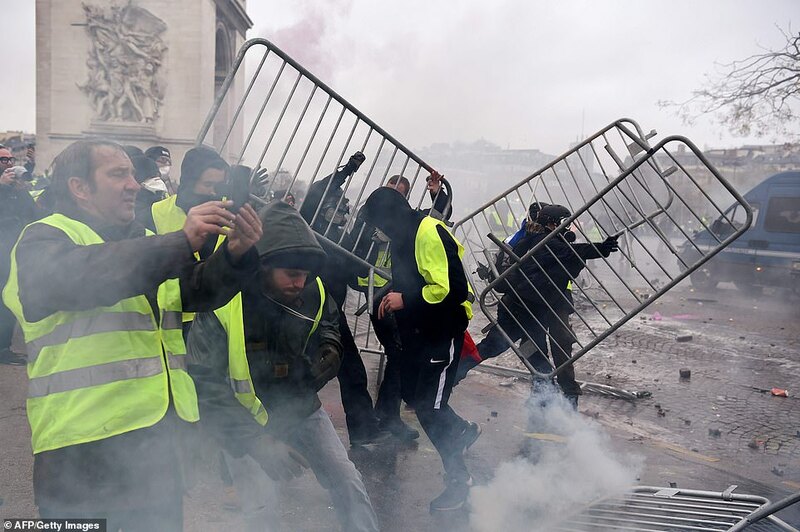 More than 100 people have been arrested after masked and hooded protesters hurled crowd barriers at police, with 5,000 demonstrators on the streets of Paris and further rallies spiralling across the country. 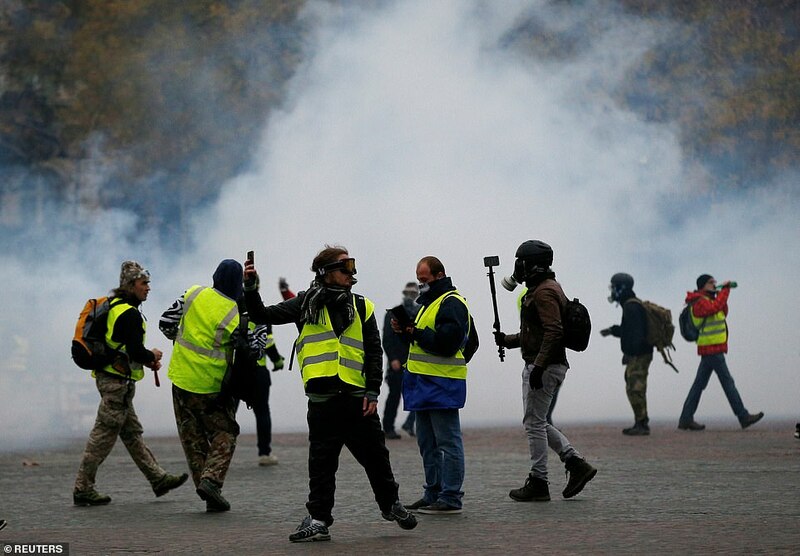 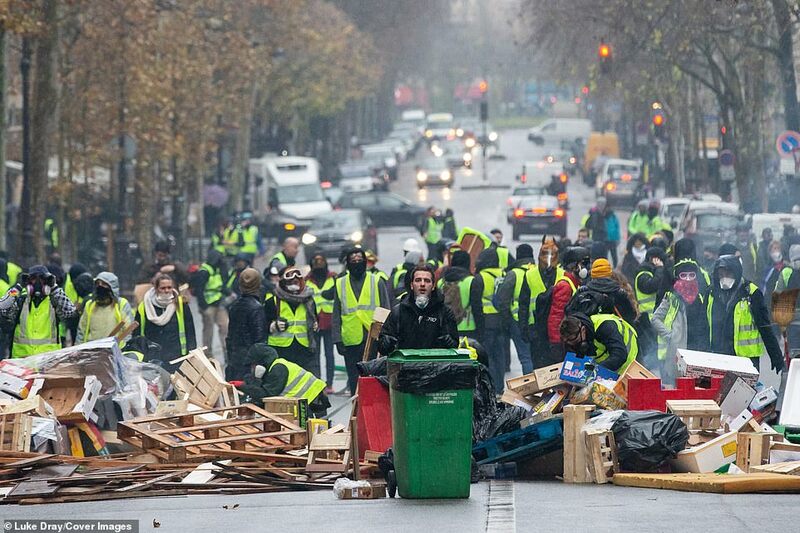 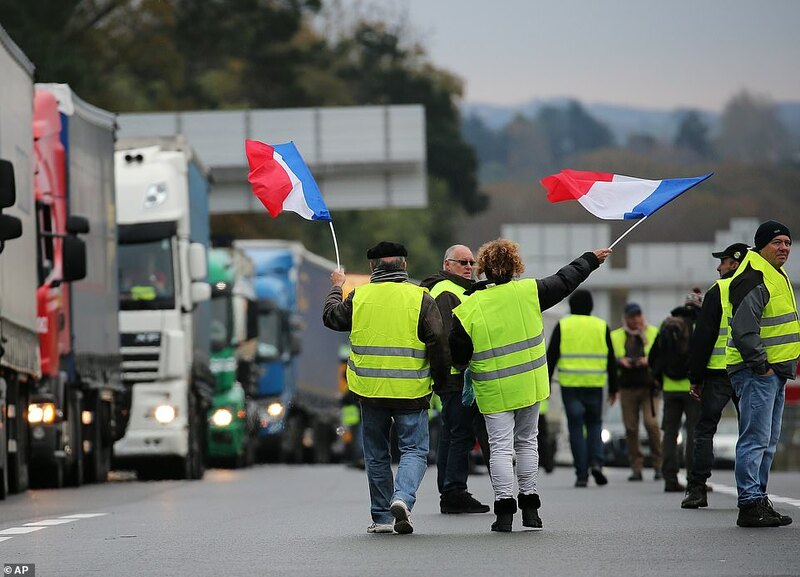 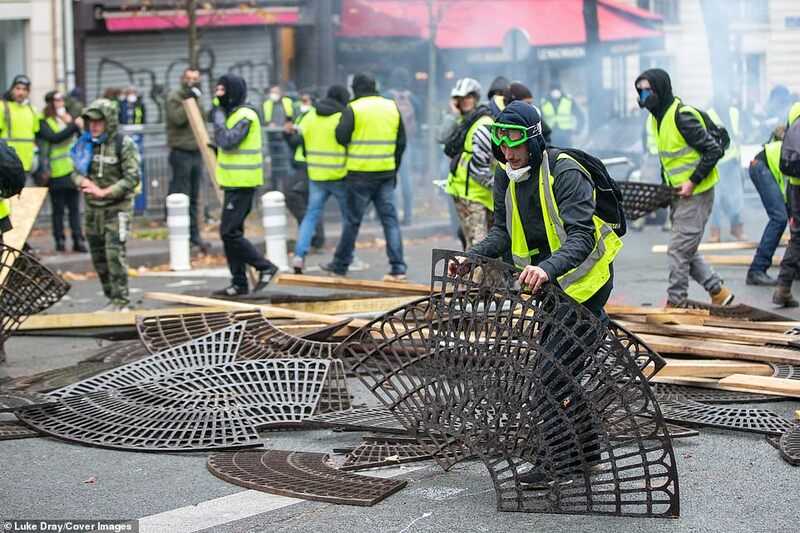 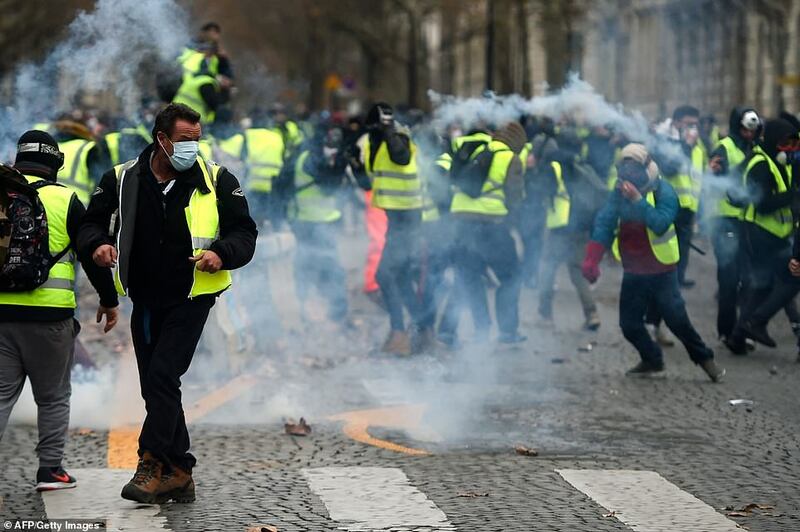 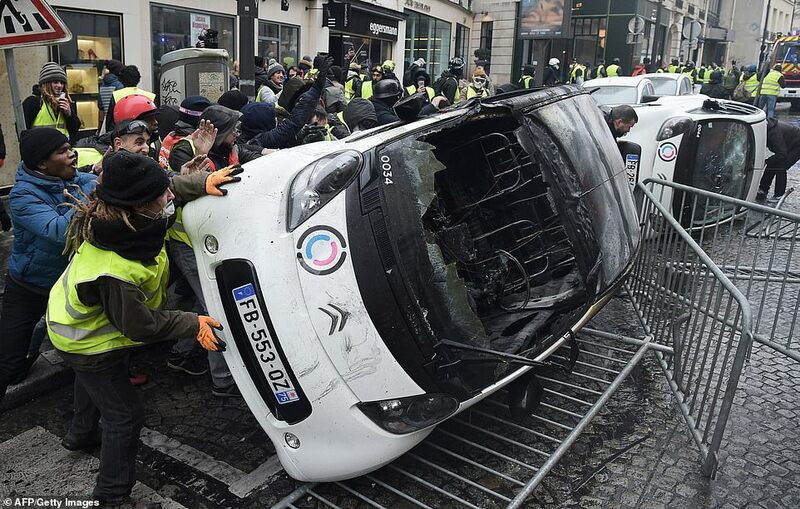 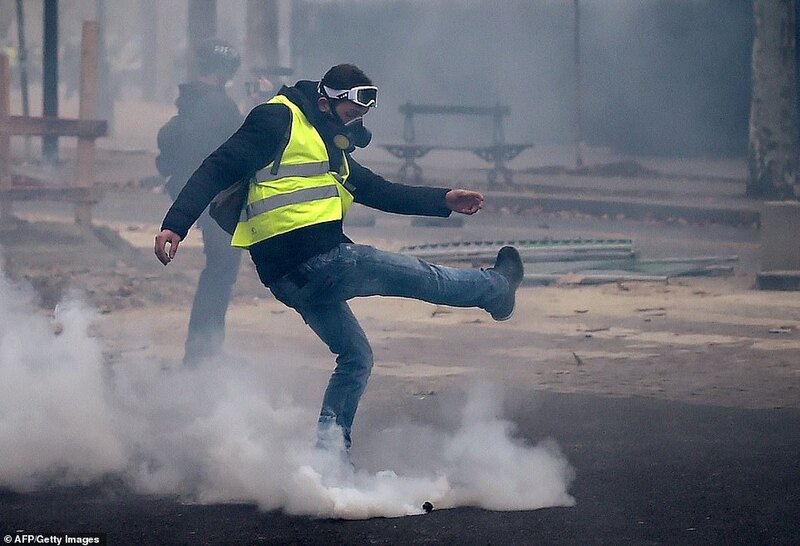 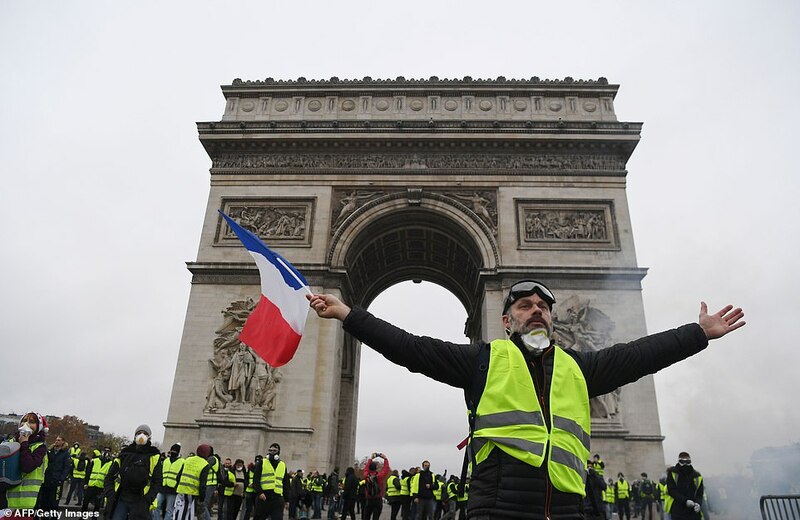 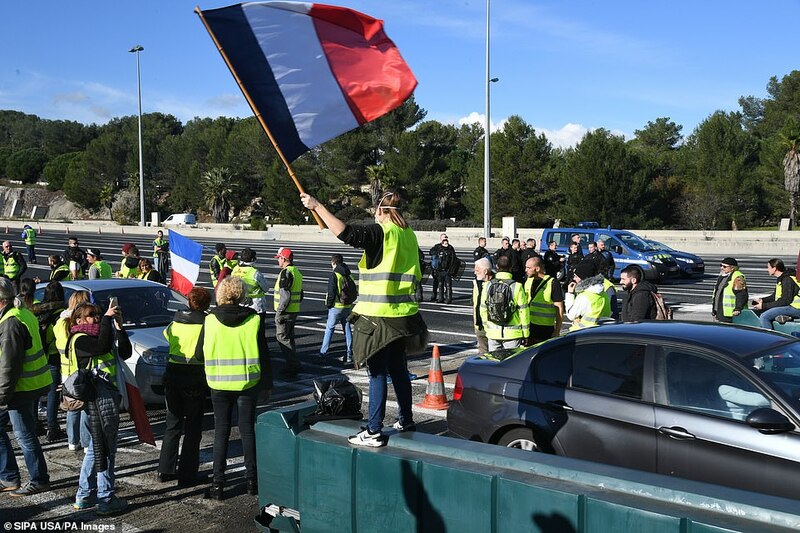 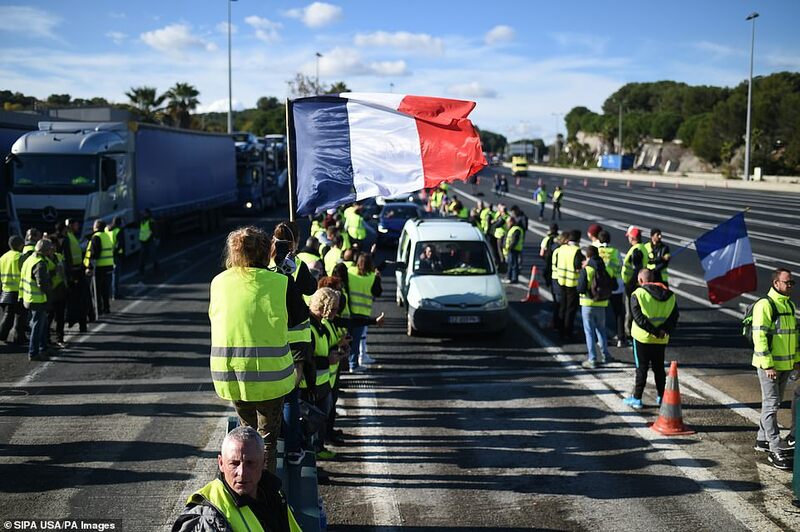 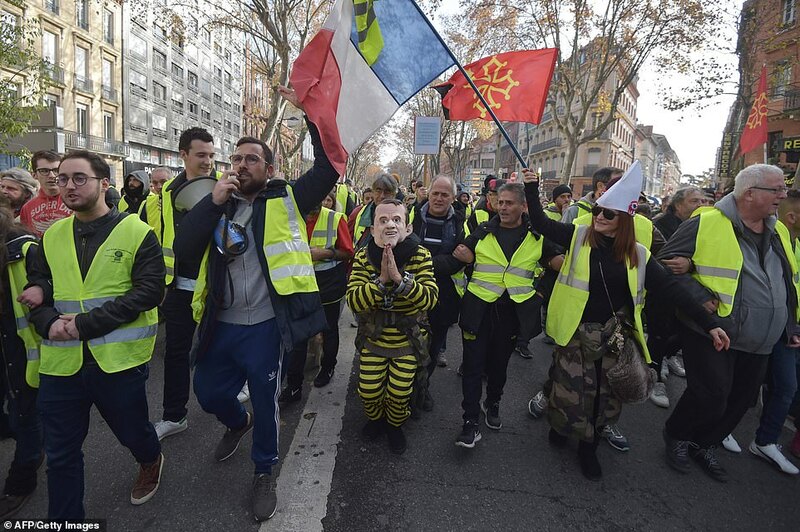 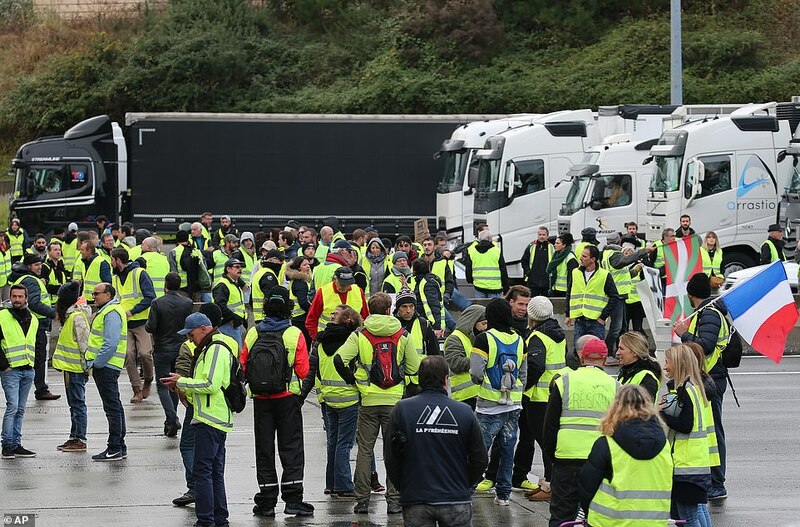 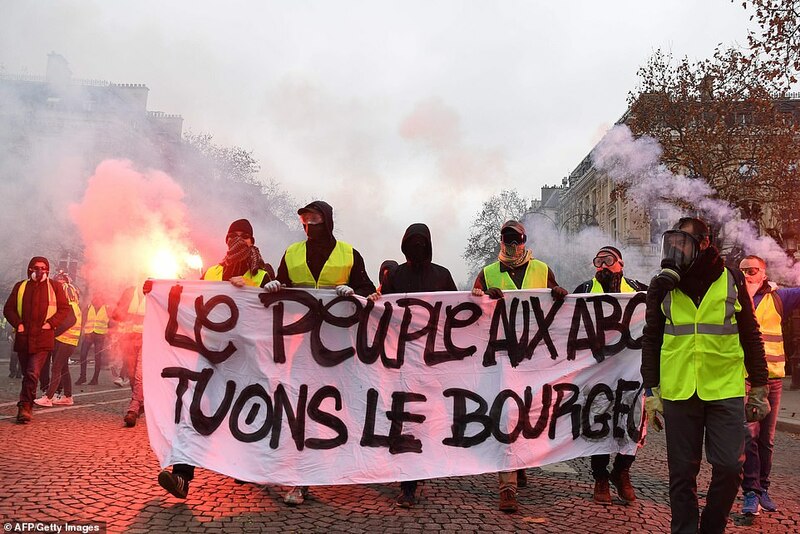 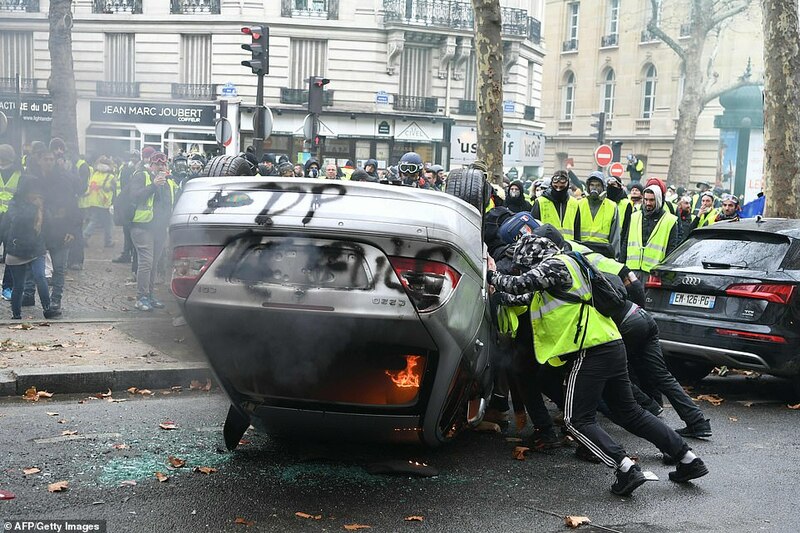 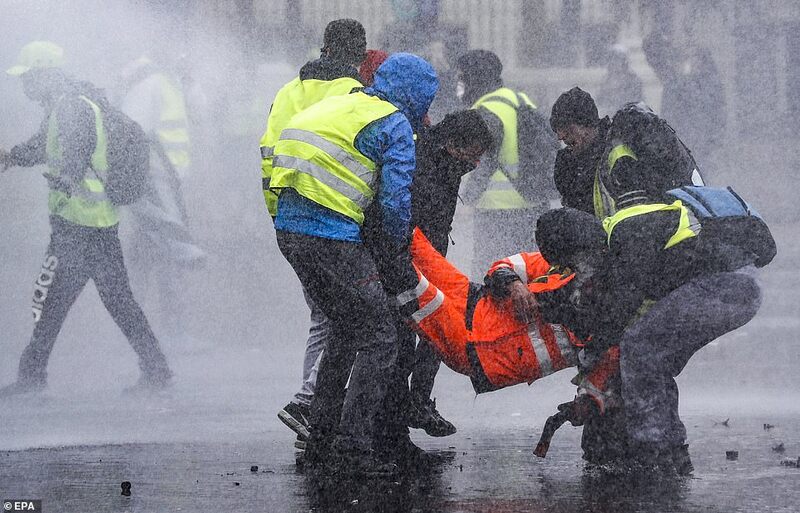 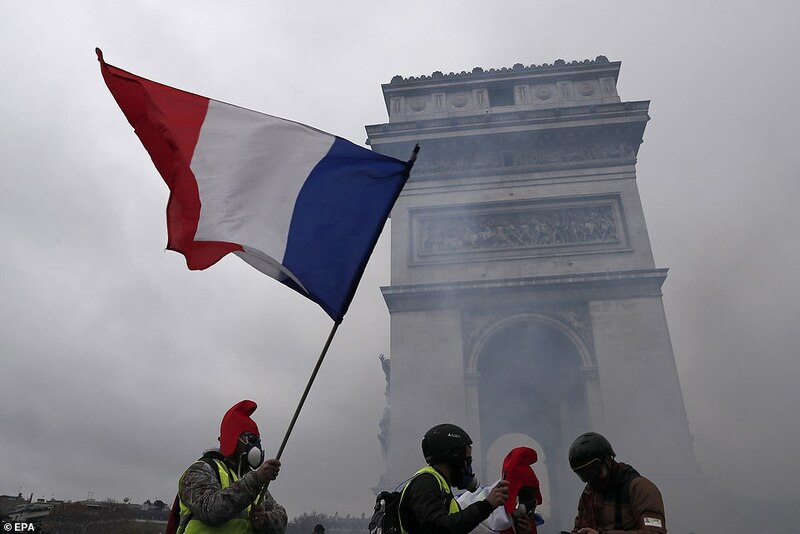 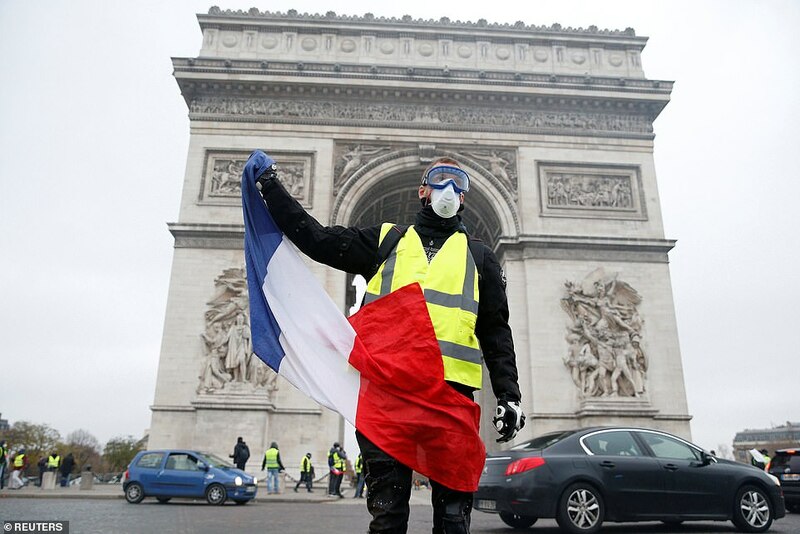 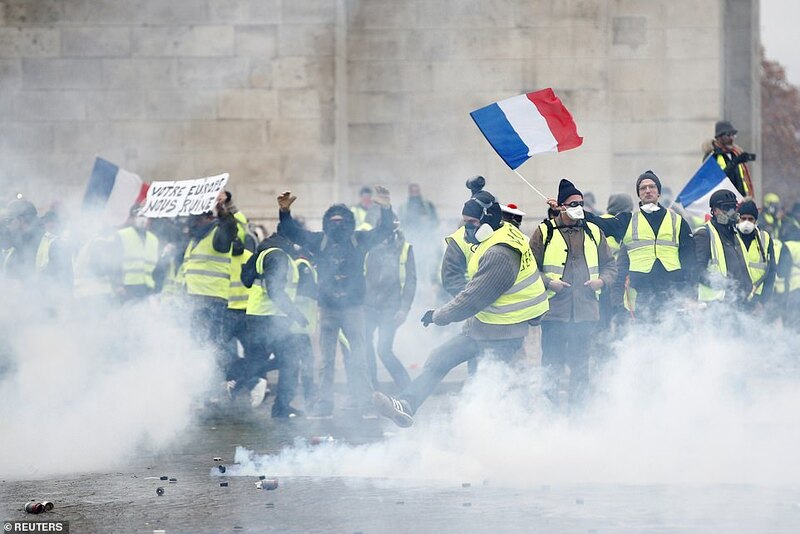 The protests, named after drivers' high-vis jackets, began last month amid fury over rising fuel prices but have mushroomed into an all-out challenge to Emmanuel Macron's government. 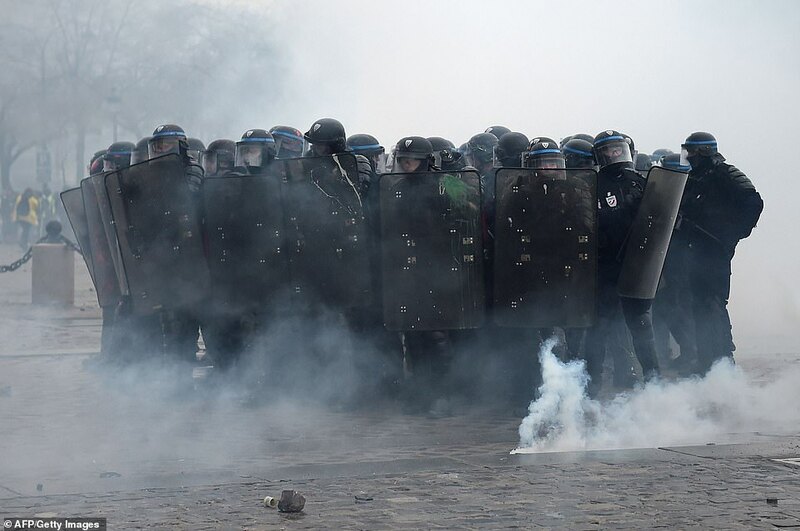 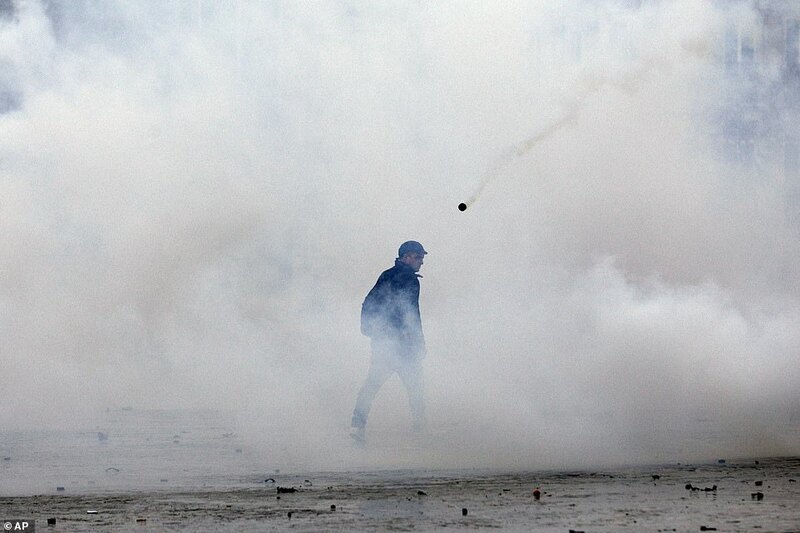 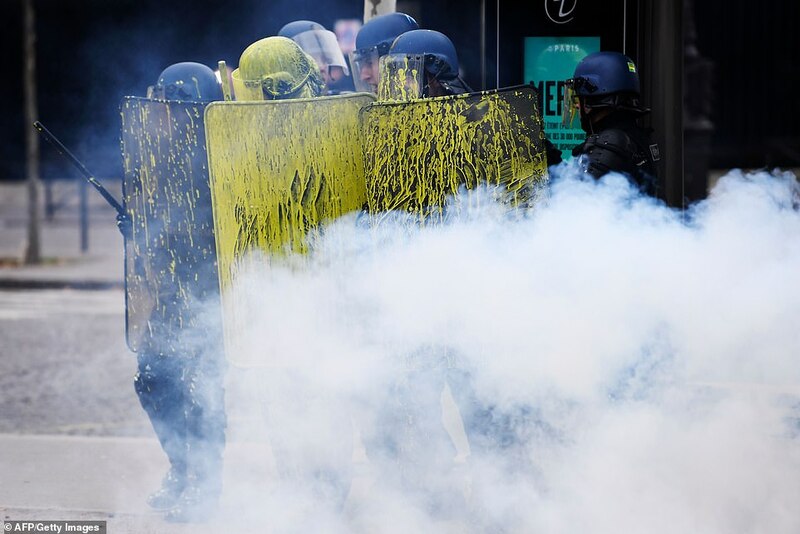 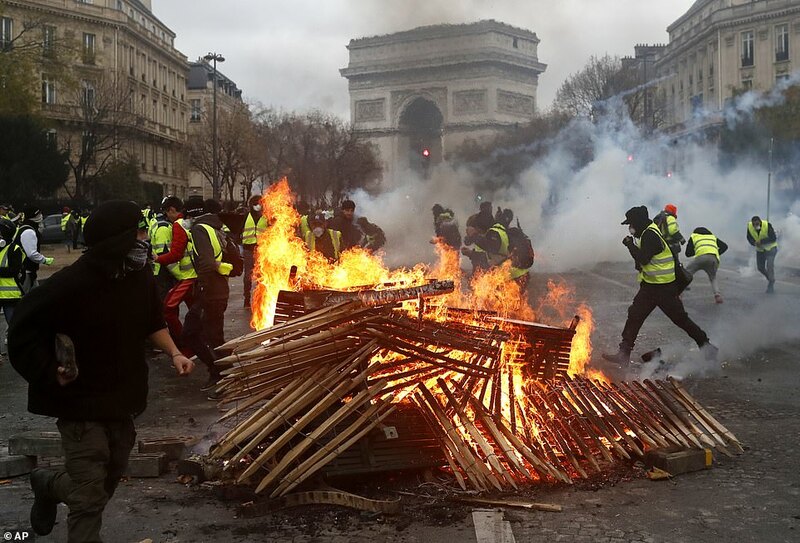 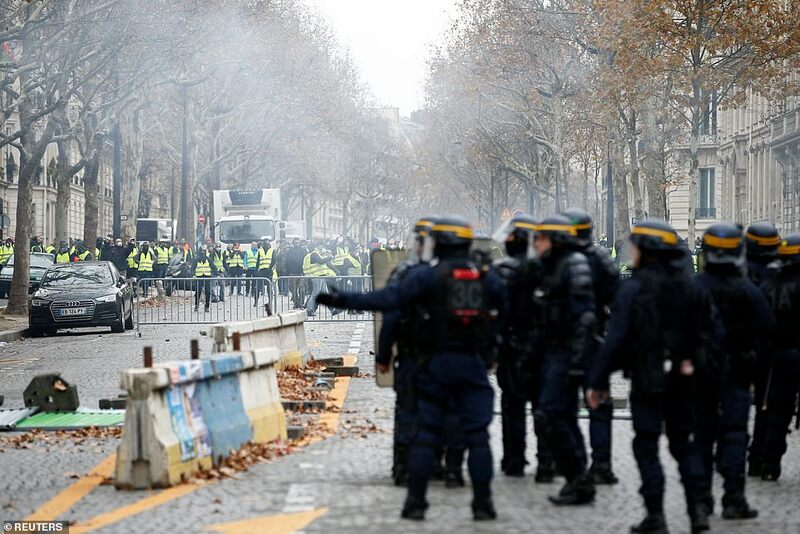 Some 5,000 police and gendarmes will be deployed today a week after the protesters brought chaos to the French capital, smashing up shops and restaurants, lighting fires, and battling riot squads.